If you would like to provide us with some information about your brand and products in advance then please fill in the questionnaire below. Don't worry - it's not a test! Your answers will help us to put together a well thought out PR proposal for you. If you can't answer anything then just leave the space blank. Can you give some details of your products and your target audience? How are you currently reaching your customers? Do you have any interesting new developments planned to launch in the near future? Are there any areas where you would like to see improvement? Have you had PR in the past and did it work for you? 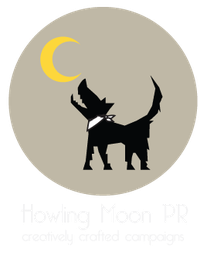 Do you have a current PR and marketing plan? Do you have a specific PR budget? Do you use a cuttings service to monitor your coverage? What would you like to achieve through PR? Do you have a timeframe for your PR campaign? Do you use social media and how important is it to your business? Where did you hear about Howling Moon?